For two straight years, Dr. Barbara Walls of Piscataway, New Jersey has held fundraisers for our Balaka orphans and the work of Dr. Sam Chilopora. Click to see the stories about the 2008 and 2009 fundraisers. 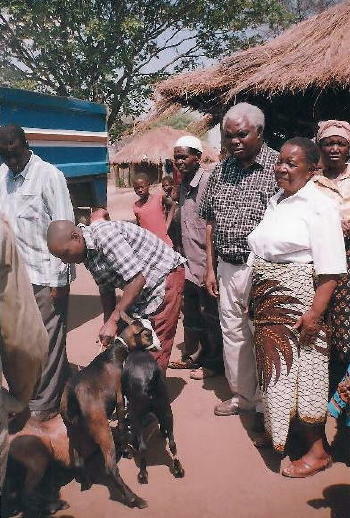 Dr. Wall asked that proceeds from the 2009 fundraiser go towards goats for the LifeNets Orphan Care Centre. 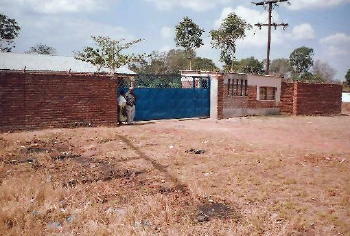 You can see photos below of the delivery of the first goats in December 2009. 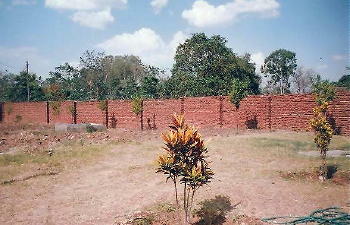 Also, we would like to note that the 450 meter brick security wall around the clinic was completed when razor wire was put on top of the wall. A major part of the funding for the $25,000 wall project which started in 2005 was provided by the Young Adults of United Church of God congregations in southern Florida. 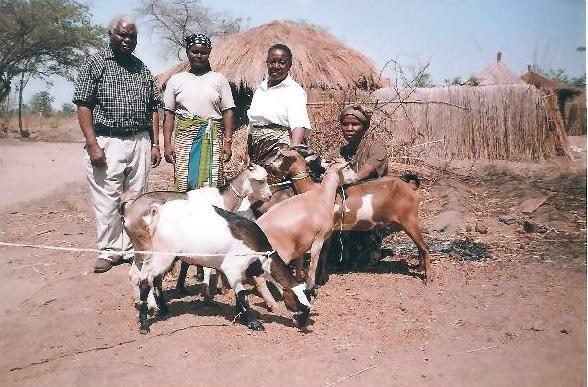 Below is a letter written by village head Chipita thanking all supporters for the goats. I village head Chapita, together with the people of my village we are very thankful to you for what you have done in our village. 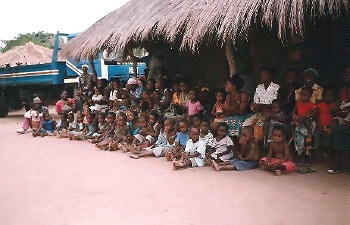 Orphans in this village previously used to face lots of problems but now they are all gone because of your support. 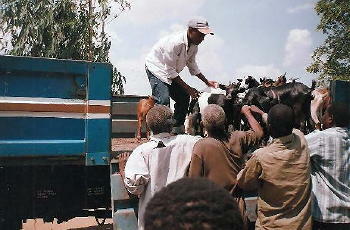 Children are taking soya porridge and you have given us goats which will be used as a source of milk for the children. 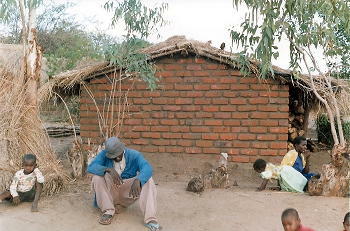 It is my hope that and each and every orphan will soon have his or her own kraal. For these reasons, we are saying thanks a lot for this wonderful support, may God bless you with more money. Lastly, we are also thankful to Dr. and Mrs. Chilopola for considering us the people of Chapita village to be the beneficiaries of this project. We ask the almighty God to bless them. Thank you very much. We hope that you will continue supporting us. 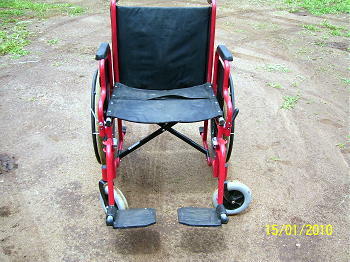 I write to thank you for the donation of the wheelchair. 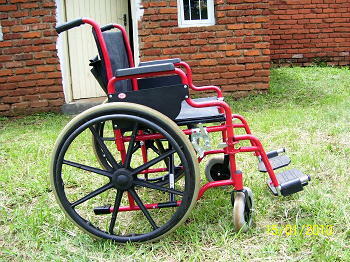 I will be able to move anywhere-everywhere to go to the market, visiting friends, church etc. and now my problem of movement is over. Continue supporting people like me.